CharterAlia offers boat charters in Ibiza and in the BVI. Vsiting Ibiza is usually very easy with direct flights from all major european capitals. However visiting the BVI is not that easy. Most of BVI yacht charter customers visiting Tortola and the British Virgin Islands first fly into the St. Thomas airport (STT) in the American Virgin Islands (USVI) and take the ferry over to Tortola. There are ferries almost every hour from 8 am to 5 pm. We used one of our drones to capture this idyllic image of the beach on Norman Island, South of Tortola Island, one of the most beautiful BVIs. As soon as you arrive to St. Thomas, you are instantly transported into the mystical Caribbean world that overwhelms all your senses! As you step off the plane, tropical heat warms your body and soul as the tropical air warms your lungs. Lush green hills surrounding the airport are welcome eye candy. You are looking forward to arriving on the charter yacht and set sail! On the contrary when you arrive in Ibiza island, you still need some time to understand the paradise you have almost in front of you. You need to get away from the roads and the concrete buildings and getting ASAP to the best beaches in Ibiza. Be patient! You will be here after a few hours on a plane and maybe a ferry from Charlotte Amalie (St. Thomas) to Road Town (Tortola). The beautiful sounds of local children playing modern hits with a traditional twist, right inside the terminal, fill your ears. Free samples of fruity local rum waiting for you at the information desk are a refreshing treat for your taste buds. Your heart can almost feel the paradise that awaits you in Tortola and the British Virgin Islands, the paradise for those willing to rent one of our sailing boats, catamarans and yachts in Ibiza and the BVI! Few airlines (AA, United & Jet Blue) fly directly to the Beef Island Tortola Airport (EIS), actually located on Tortola’s adjoining Beef Island. Tortola’s airport runway can be seen from most of the Northern beaches of Tortola Island. If you’re able to find a good flight directly to Tortola, getting to West End – where your CharterAlia rental yachts and captains will be waiting – will be quick and easy by taxi for an average rate of $45-60, but be sure to ask your driver for a price before accepting the ride. 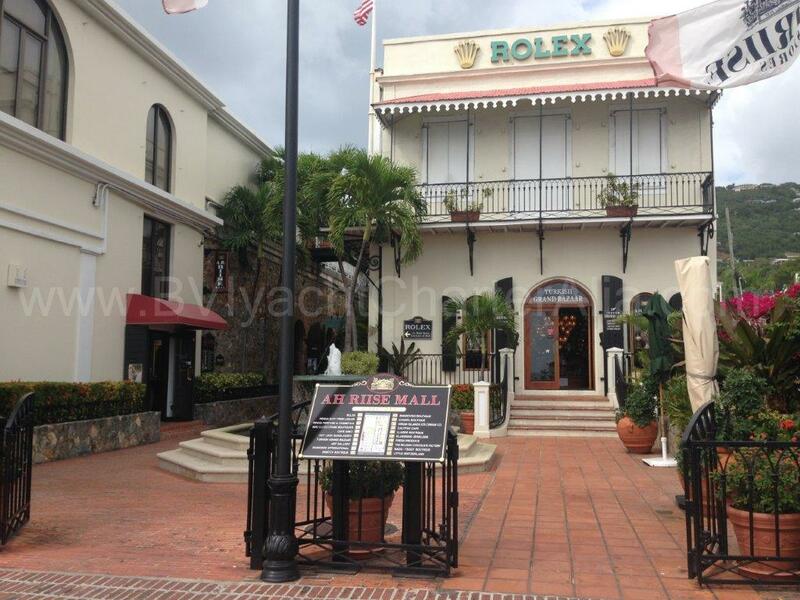 The currency both in the United States Virgin Islands (USVI) and the British Virgin Islands (BVI) is the USD. 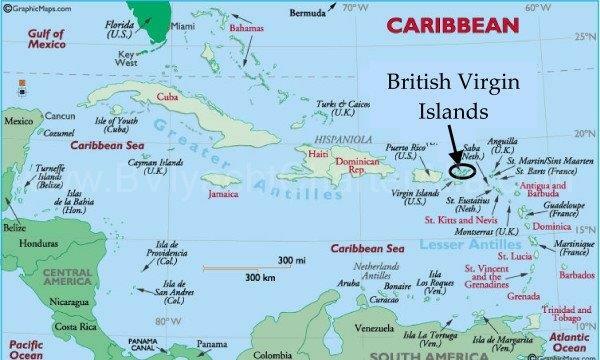 In this image you can get a general idea of the location of the Virgin Islands in the Caribbean Area. This might feel like a mission, but sometimes getting from Ibiza to San Antonio in the west of Ibiza island is also complicated since the 15 km road from Ibiza airport to the beaches can take up to 1 hour in high season. In this map you can see all the Virgin Islands, St. Thomas and St. John are the USVI and the rest of the islands belong to the BVI. The first thing you should do is change into your island wear at the airport since you’ll probably still be dressed for colder climates and the chilly flight. After you have stripped off your extra layers and real world worries, you are ready to continue your journey to your charter yacht in Ibiza. Both in Ibiza and BVI, taxis can be found waiting outside the airport terminal to take you to one of the two ferry docks in Charlotte Amalie, the capital of St. Thomas. The Charlotte Amalie Ferry Dock has several companies running ferries to Road Town and West End, both in Tortola. The Red Hook Ferry Dock, which is a longer taxi ride from the airport but a shorter ferry ride to Tortola, has limited routes to West End in Tortola. 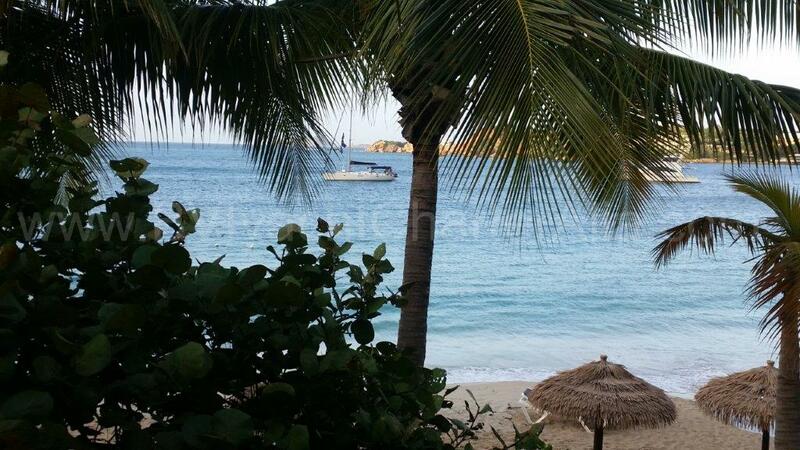 Because of this, we recommend taking a ferry from Charlotte Amalie. We used our drone to take an amazing aerial image of White Bay, in Jost Van Dyke, one of the amazing British Virgin Islands, north of Tortola Island. Taxis in St. Thomas are usually shared large vans that will leave only once filled with 5-10 passengers, so be prepared to wait a bit if you’re in a small group. The average price for the 10-minute ride from the airport to the ferry stop is $8 per person plus $2 for luggage. Upon arrival to the dock, you can buy your ferry ticket if you haven’t already done so online in advance. There are several ferry companies, so keep in mind that only some of the services (more info here) offer routes to West End, where your CharterAlia BVI yacht charter will be waiting. Round-trip tickets cost $60 per person on average, but you will also have to pay a $10 tax to leave St. Thomas (and a $20 tax to leave Tortola on the way back) and $2 for each piece of luggage checked in. 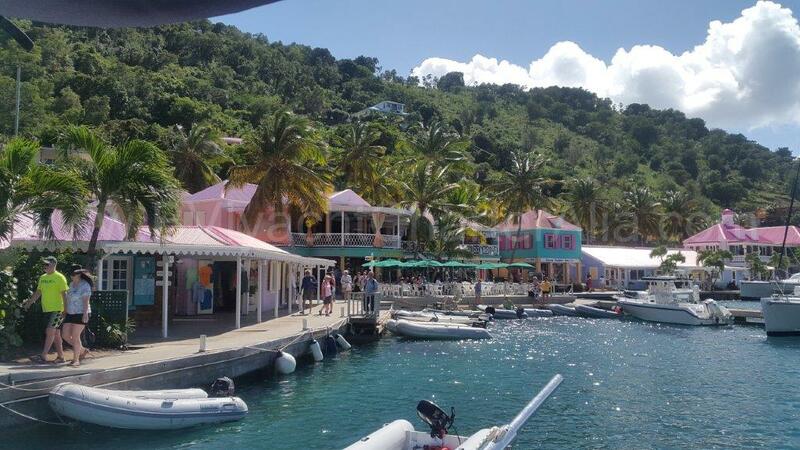 Soper’s Hole located at Tortola’s West End is the most quaint marina in the BVI. Ferries do not run very frequently, so it’s possible you’ll have several hours before departure, but make sure to get your passport checked and ticket stamped as soon as you arrive to the dock to assure you have a spot on the usually crowded ferry. If you have a shorter wait, you can enjoy a drink and/or food at Petit Pump Room Bar & Restaurant, on the second floor of the ferry dock, while watching beautiful boats and seaplanes go to & from the bay. WiFi and restrooms are available for customers. 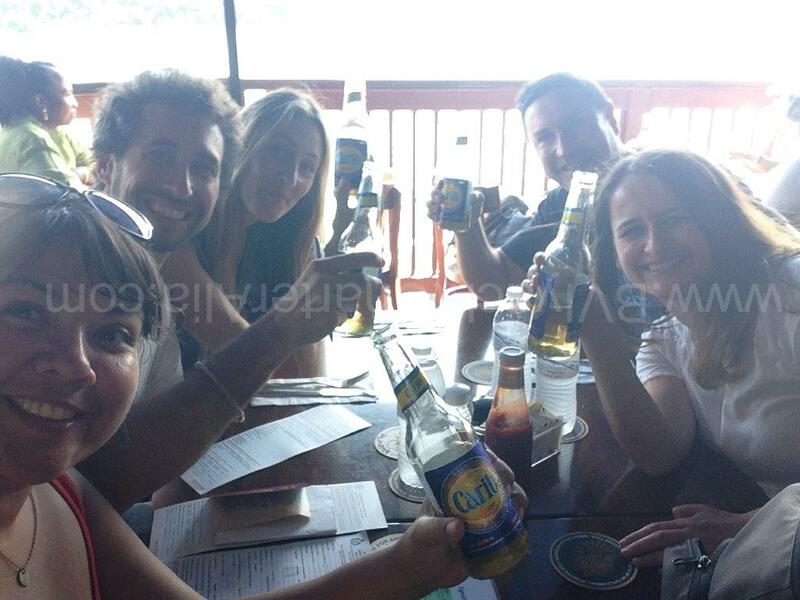 Tip: Skip their coffee (not the best tasting) and try a Carib, a local light beer, instead! Cool down with a Carib at Petit Pump Room while you wait for your ferry. If you have more than a couple hours, walking the few blocks along the water to the center of Charlotte Amalie is a good option. Tip: if you have used ATS taxi service, ask your driver about the free luggage storage at the dock. This will make your short walk to the center more enjoyable. 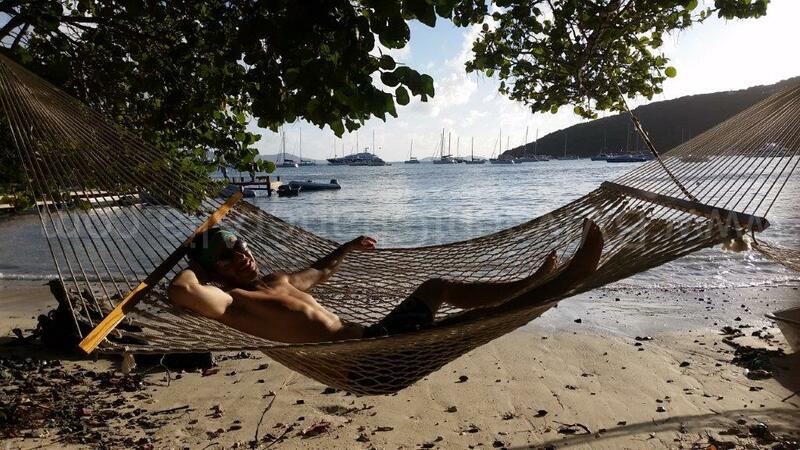 You’ll find plenty of ways to pass your time in the center of Charlotte Amalie even when we know that you will be looking forward to arriving to your rental boat in Tortola. Hungry? Enjoy a traditional Curry Chicken Roti and a Pina Colada at Gladys’ Cafe. If you have time, walk a few blocks into town and try one of Gladys’ Curry Chicken Rotis or plump hamburgers. Careful with the hot sauce! Eager to start your shopping? The center’s alleys are full of shops to suit all budgets. 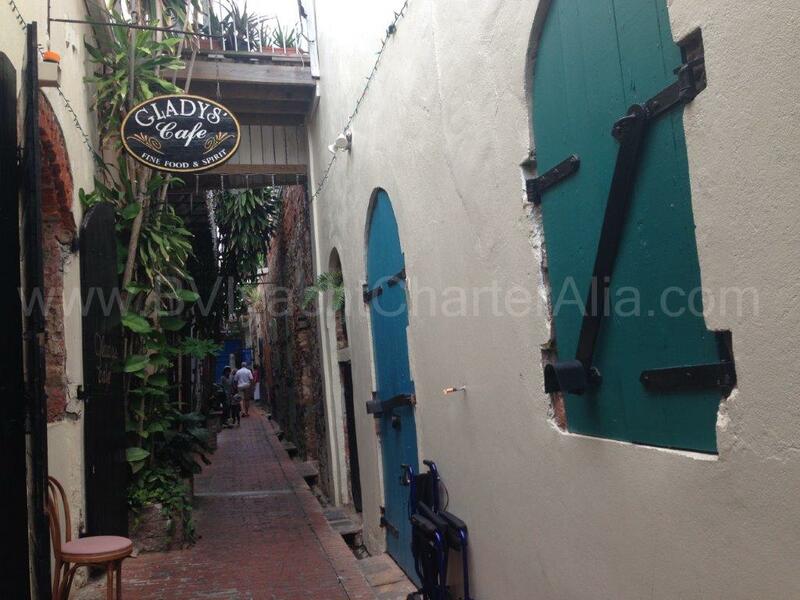 Endless alleys in Charlotte Amalie offer shops galore! Even for higher end customers. Looking for handmade souvenirs? Explore the outdoor crafts market where you’ll find a wide range of island clothing, jewelry, stuffed animals, pipes, and more! Don’t like shopping? 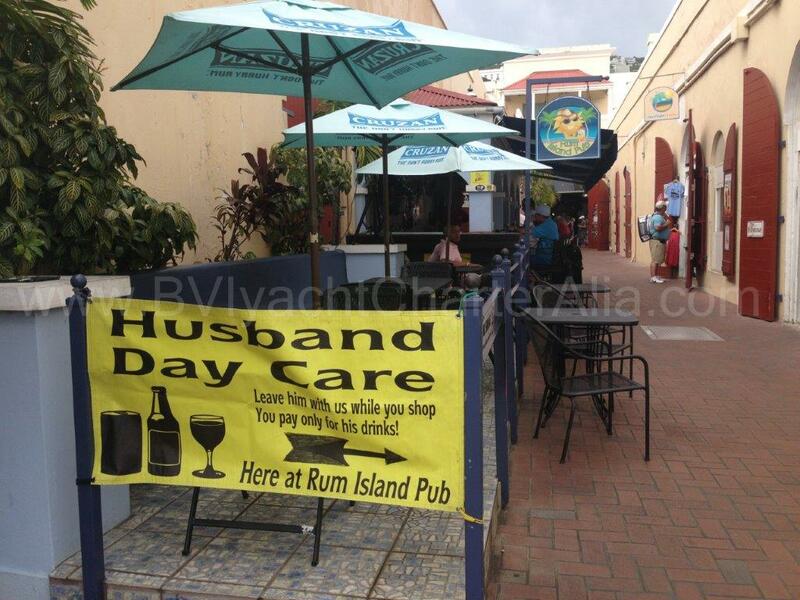 Don’t worry, there’s a Husband Daycare Center in Drake’s Passage (one of the alleys) that anyone can enjoy! Cash only, so come prepared. No shopping district is complete without a Husband Day Care! Oh heck, this can be for anyone! Now that you’ve had some time to experience an American Virgin Island, it’s time to hop on the ferry and head to the British Virgin Islands and your charter vessel. The ferry ride to West End itself lasts approximately 45-50 minutes, but ferries often depart behind schedule. It’s the Caribbean! 🙂 As you approach West End (Tortola Island), try to be one of the first to get off the ferry since passing through Immigration & Customs can be a lengthy process and we don’t want you to be late to your BVI boat hire check-in appoinment. Being on a Caribbean island means nobody’s in a rush and there is sometimes a lack of direction, so stay calm and don’t forget you’re on a sailing vacation! First, you’ll have to have your passports checked and submit your completed forms (given to you at the Charlotte Amalie dock). Then, you can grab any checked bags and lastly go through customs. Chartering a yacht in the BVI is so common that even in the immigration form you will find a “charter boat” checkbox as the purpose of your trip. 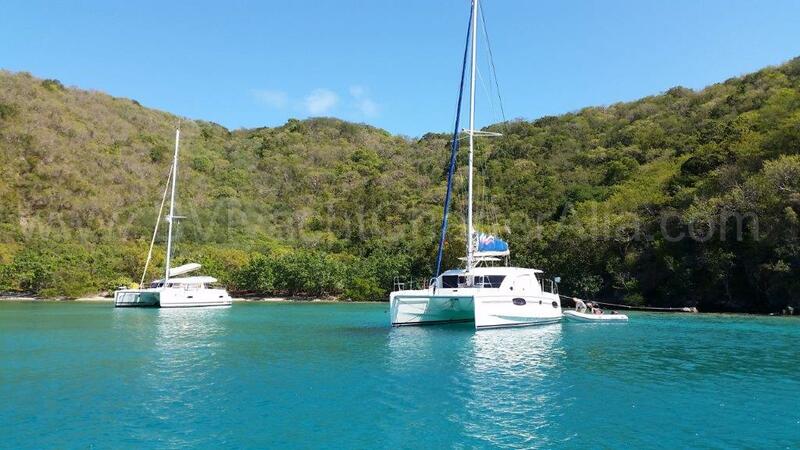 Catamarans are usually the most demanded charter yachts in the BVI. The most convenient place to buy groceries in West End is the Harbour Market located in Soper’s Hole Marina. Alternatively, you can get a taxi and head to the RiteWay located in Road Town if you’re looking for a bigger market. Don’t be surprised if you don’t find everything you’re used to as selection of products can be very limited on the island. However, you will find the basic essentials: meat, produce, and drinks! Oh yeah, remember to grab some toilet paper, paper towels/napkins, dish soap, trash bags, and any personal items you may have forgotten to bring with you since grocery markets will be a rarity once we set sail on your BVI charter yacht. Smart grocery shopping is important, so our amazing hostess and cook Mirella, can show you what she is capable of! Now you’re ready for your final destination…your floating CharterAlia home for the next week! Your captain, or crew, will welcome you on board and their smile will make you feel that this is only the beginning of the incredible week that’s ahead. Time to kick off your shoes, lie back, and let us do the rest – the wonders of the BVI yacht charter are expecting us! You made it! Time to chill Caribbean style! By Ann Sandoval. 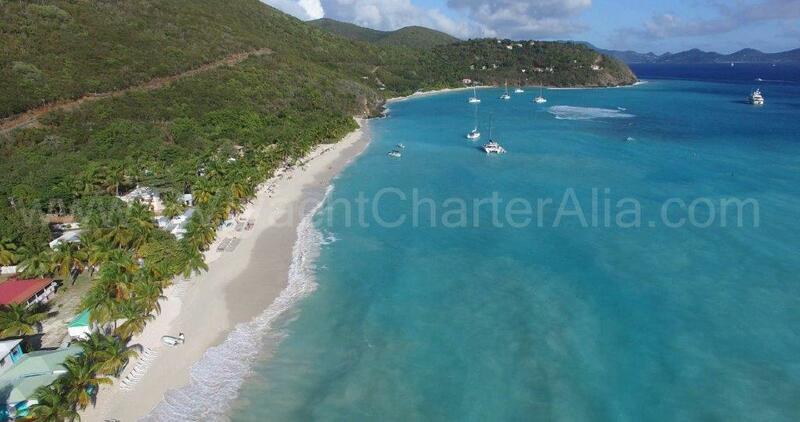 You can read about Charteralia, yacht charters in the BVI and the Caribbean. 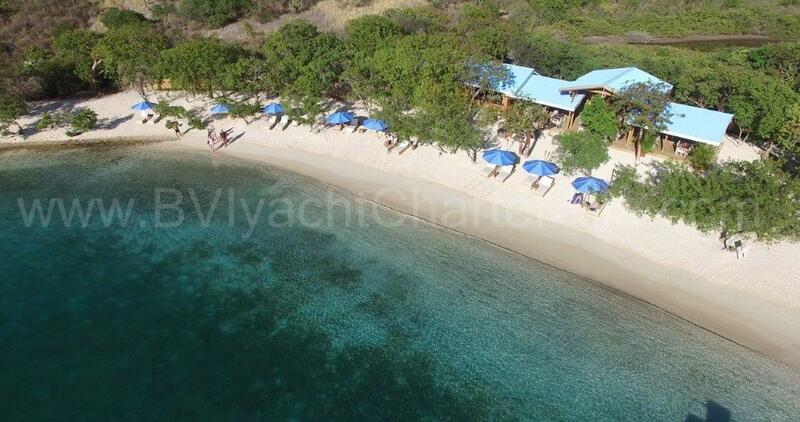 BVI Yacht CharterAlia, Proudly powered by WordPress.